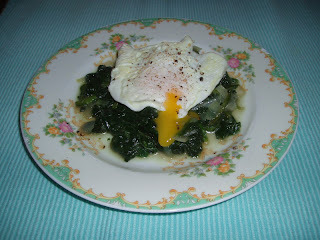 Clean breakfast...Organic Spinach sauteed in EVOO & onion, topped w/a pan fried egg. Yum! I love Spinach & Eggs...silky, soft, salty....Yum! Soup...Soup...Soup is what comes to mind when Fall is in sight. It's been raining here in Dallas for the past 3 days...I love it, I really do. This rain gave Fall a head start, which begins September 22, 2009. "Fall your highly anticipated, we welcome you with open arms...we love you." My sister, Josie in NM, mentioned she had made Caldo de Rez (Beef Soup) for my parents on Sunday...I could not stop thinking about the Caldo. Big chunks of cabbage, potatoes, cilantro, carrots, beef bones, chunks of beef and tasty, tasty broth. All the Mexican sides: salsa, chili macho, fresh cilantro, lime, corn tortillas. I just couldn't take it anymore so I made some yesterday. I made it just like Mom did...BUT this time I added a twist...Spicy Smoked Paprika. I honestly have never been a fan of paprika, being of Mexican decent this spice always seemed 'so bland'...well that's what I thought until I tasted 'Hot Spanish Smoked Paprika'. 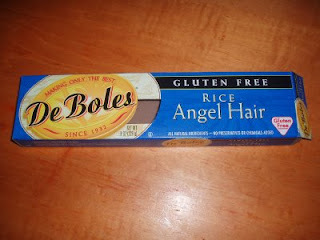 You have got to search high & low for this, buy it from a bulk selection if possible. The smell of this Paprika really is smoky...very smoky...if it was put side by side with chipotle powder and just the smokiness was rated the challenge would be on. The spiciness is subtle but the smokiness is bold. In an 8-10 quart stock pot add olive oil and brown beef on medium heat for 8 minutes, add onion and garlic. Once onions have some color & are translucent add tomatoes water, coriander, comino, and paprika allow to get bubbly hot. Add water, salt & pepper. When at a small boil decrease heat to low and cook covered for 2 hours then add all the veggies and cook for 1 1/2 more hours. Veggies should be soft to touch but have their form. When complete stir in the cilantro. Done. Serves 10. Freezes nicely. I served this with a chipotle salsa and crusty grilled bread slathered with olive oil and rubbed with garlic. how do you roast your green chiles? I roast them 3 different ways depends on mood & weather: Broil, stove top griddle by Lodge (covers 2 burners) or outdoor grill...you want them roasted blistery w/the outer skin separated from the meat. Once you take them off the heat wrap them in a moist kitchen towel & put them in a large ziploc bag or wrap the bundle in suran wrap....this process steams the chilies...makes them easier to peel. are the hatch green chilies available only seasonally? Yes..late July thru 1st week of September...I buy 20-30 pounds a year...roast them all & package them 10-12 chilies per freezer ziploc....I use them all year long. By the time the season comes around again I may have 2-4 pkgs left. is there a substitute for their off season? You can purchase 'HATCH canned green chiles' all season...they will do but they have a slight citric acid taste. Fiesta & Central Market sell them. do you ever grill skirt steak? Yes. if so, how do you season? Equal parts mix: Teaspoon chili powder, smoked paprika, garlic powder, cumin, salt, pepper....w/some olive oil rub meat & then w/the season mix...let it sit at least 1 hour to 24 hours. do you have a recipe for making roasted green chile salsa? roast: 1 med onion, 3 tomatoes, 4 garlic cloves, 6 green chilies peeled...add all to blender plus 2 cups of water & 1 chicken bouillon plus 1 tsp pepper add salt to your taste if bouillon is not enough.....puree or make it chunky...your preference. My recipe was not chosen....I did not get a call. Well. 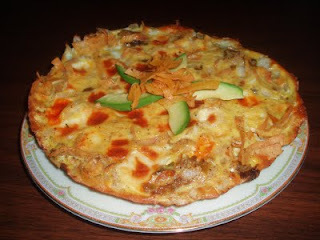 The recipe below 'Hatch An Enchilada Frittata' is divine. Try it. I just entered Hatch Chile Recipe Contest at Central Market. This frittata is soooooo good. I made a couple versions & this one is the best. This is Latin Comfort Food at it's best. Each bite is nostalgic, tasting each ingredient & feeling the texture difference on your tongue. Egg, creamy milky cheese, spicy green chilies, sweet onions, a hint of garlic, toasty corn tortilla strips...yes you are going to love it. Whisk eggs & cream till mixture is light yellow, set aside. Add 2 tablespoons of canola to pan, pan fry the corn tortilla strips till crisp, remove & set aside. Add butter to pan, sauté onion, garlic, chicken bouillon, pepper & green chilies, for about 3 minutes. Add crisp tortilla strips and egg mixture to the sauté, coat all ingredients with egg. Once egg on edges is visibly cooked (about 3 minutes) but runny on top, top with cheese & gently fold the runny egg in the cheese, cook on low for 3 more minutes. Put the pan in the broiler for 5 minutes or till egg is set. Cut into wedges & garnish. Can be served warm, room temperature or cold. What was I thinking "achievable?"... I thought honestly 'no problem'...it's tough. If I buy only local produce my family will not be served any bananas, oranges, pineapple...you get the picture. So the goal is to choose local when available. Never realized shopping for my own produce was such an intimate experience. I missed it. I have cancelled my membership for now and may resume later. Seems so silly after yearning for a co-op type of arrangement for a couple of years. I am on a quest to eat local...local produce and local meats. When I say this I of course will not turn down an invitation to a party or dinner out due to not being local. I am choosing to shop for my family local. I am so close to Whole Foods & the downtown Farmers Market that an attempt seems achievable. I'll let you know. I thought 'can I feed this to my family before it matures'...the answer is "yes" I did it, I did have 1/2 red leaf lettuce head that went south. Yesterday, my husband picked up our 2nd lot...I'm excited about this & I will share on how it has made a difference. Last month I went to see "Food, Inc"...I had seen parts of this movie on TV & had read about quite a bit of what the movie contained...EXCEPT for the part on cattle...I knew cattle was being fed corn but did not know that a grass fed cow has a 85+% less chance of having salmonella... I have a baby and a lovely husband so from that day forward we have been purchasing 'grass fed' beef. It smells so much better, too. I love food blogs. 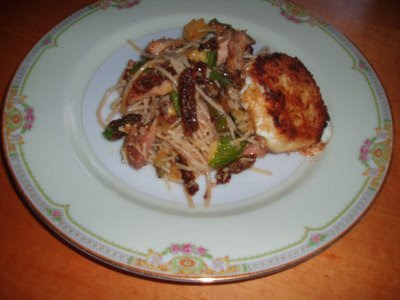 Last week my sweet friend Denise started her food blog http://cuatromolinascocina.blogspot.com/ She has enough recipes for a cookbook. I was inspired to make her 'Summer Chicken Pasta Salad'. As I gathered my ingredients I realized I did not have enough balsamic, nor did I have fresh basil (I planted some in the garden from seeds...it's not quite ready) nor did I want to make a trip to the store. Prepare pasta per box instructions, rinse in cold water. Heat olive oil to a small simmer add garlic and stir. At this moment your home smells of heaven on earth. In a large prep bowl add all ingredients toss and serve. This recipe is so versatile just add what you have grilled...you'll love it. Honest. Warm a nonstick pan with olive oil. Dip goat cheese in egg wash then in panko. Pan fry till panko is tan in color, about 2-3 minutes each side. Serve side by side with pasta. What I love.....let me count....and count....and count....all I can not live without in my kitchen. This subject "What I Love" is quite the list. Here are a couple I'd like to share with you today. Eggs...Free Range Cage Free Eggs. 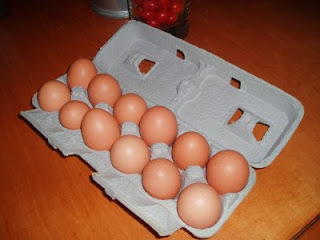 My parents are big believers in fresh eggs, we always had chickens while I was growing up in NM. Of course as a child I'd see tv commericals of white eggs "the incredible edible egg", I would turn my nose up to the brown eggs (I'd still eat them). The most comforting sunny childhood memory I have of eggs starts with my precious Mother. For breakfast she would make us a liquid breakfast drink (trying to get us all to school on time was an art) she would bring each of us a warm mug filled with a cinnamon oatmeal smoothie, Mexican Ponchie or a banana oatmeal smoothie. So tasty. Do you remember coming home from school famished? When I would get home from elementary school Mom would always be home and as soon as I'd step foot in the house she would start up the fire, fry me a lacy egg served with a warm home made corn tortilla. This meal was always so delicious and special. My next little love is a luxury. I love coffee so does Carmella. Above is a baby coffee, blackstrap molasses, water and milk, she thursts for it. 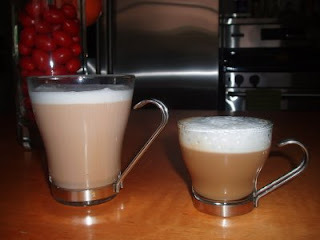 A couple of weeks ago I went to my friend Denise's for coffee, she has the top Breville Single Cup Coffee Brewer (I have coffee brewer envy) plus an electric milk frother...coffee was amazing. When I got home that afternoon I was on quest to find a frother on amazon...I found one...not as fancy but it does the job plus it's battery operated. I love it! 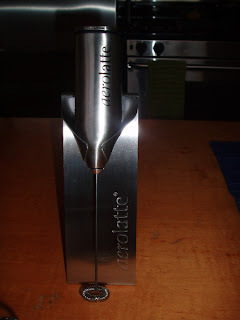 It's 'aerolatte'. Sunday, April 25, Kelly, one of the Mom's in our play group called to ask if I would be interested in catering her son's Baptismal Luncheon. I was honored too. The Monday before, Carmella & I hosted play group at the Dallas Arboretum...I packed a picnic for all. It was a beautiful day...Sunny Day 75-78 degrees with a very lazy breeze. Georgous! We all took our picnic blankets & set the children lose...they ran, walked & played for a couple of hours. Everyone loved the picnic lunch. So, the Sunday of the same week is when Kelly called....'I'd love too' was my response. The Baptismal Luncheon turned out fabulous. "Bravo! Everything was FABULOUS! Huge hit." Butternut Squash is such a pretty vegetable. It's a piece of art. I like to buy it & display it for about a week before I cook it. I usually make a Curry Butternut Squash Dish and serve it with basmati rice but this time I felt like eating a very simple soup, hoping Carmella would love it. She did. I hope you venture out and make this delicious soup. Heat a large pan with 2 tablespoons of olive oil, add onions. Let them caramelize this will take between 10-15 minutes...stir occasionally. Add garlic, butternut squash and a little salt. Allow the butternut to caramelize...(if pan seems dry add 3-4 tbsp of broth), this will take another 10-15 minutes...stir occasionally...5 minutes into the caramelization cover the pan. Once butternut squash is lightly caramelized add the chicken broth and pepper. Simmer till butternut squash is soft. Allow chunky soup to cool slightly. Puree in blender till smooth. Reheat and add salt to taste. You will need a slow cooker or you can put this in the oven. I have a 5 quart slow cooker with multiple cooking & time options. I love it. Add the first 7 ingredients to the slow cooker...cook on low for 4 hours....then add remaining 4 ingredients and cook for additional 2-3 hours. Note: I always purchase organic celery, potatoes & carrots...these veggies highly absorb soil toxins & pesticide residue. Pierce the potatoes with a fork to check for doneness. Put in a potato with the skin thru the potato ricer this leaves them really fluffy, discard skin & continue with the next potato till all potatoes have been mashed. Add the butter, sour cream, salt & pepper. Slice french bread long wise. Smear butter generously, sprinkle w/garlic powder & salt. Broil till top is lightly toasted. Yum. Cream butter with a mixer, once fluffy add powder sugar one cup at a time & mix after adding each cup. Zest lemon then juice, add to mixture and blend. Yesterday I went downtown, Dallas, to the Records Building to register my business name "Honey Girl Kitchen" Catering...intentionally delightful. I struggled for a day as to what I would be naming my business and finally I thought 'I love it when my husband calls me Honey Girl' (he calls his Mom that too) so that is how the name came about. 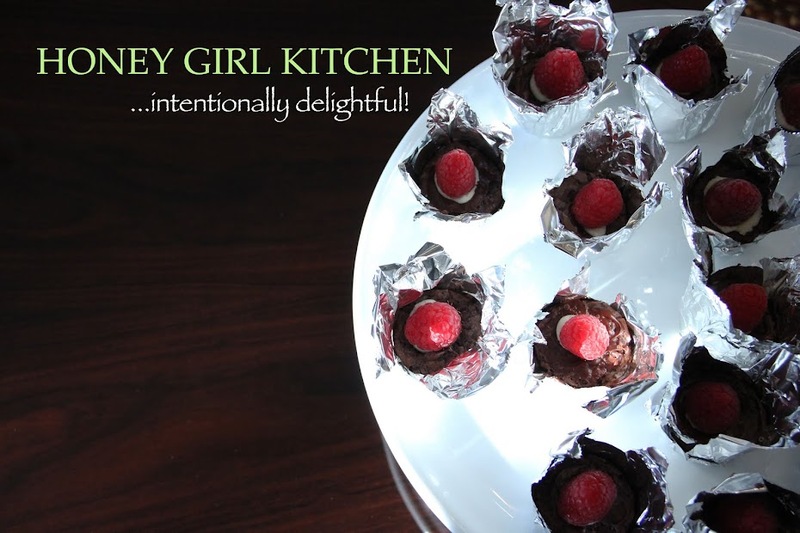 "Honey Girl Kitchen Catering" with a motto of '.....intentionally delightful'. My plan is when my daughter, Carmella, starts preschool I'd like to begin catering breakfast and lunch to business meetings. I'd like my business to grow by word of mouth/referral, this to me is the best marketing plan. Friday I'm making dinner for friends of ours that are new parents. Whatever the choice is, I promise to share my receipe's and food photos.